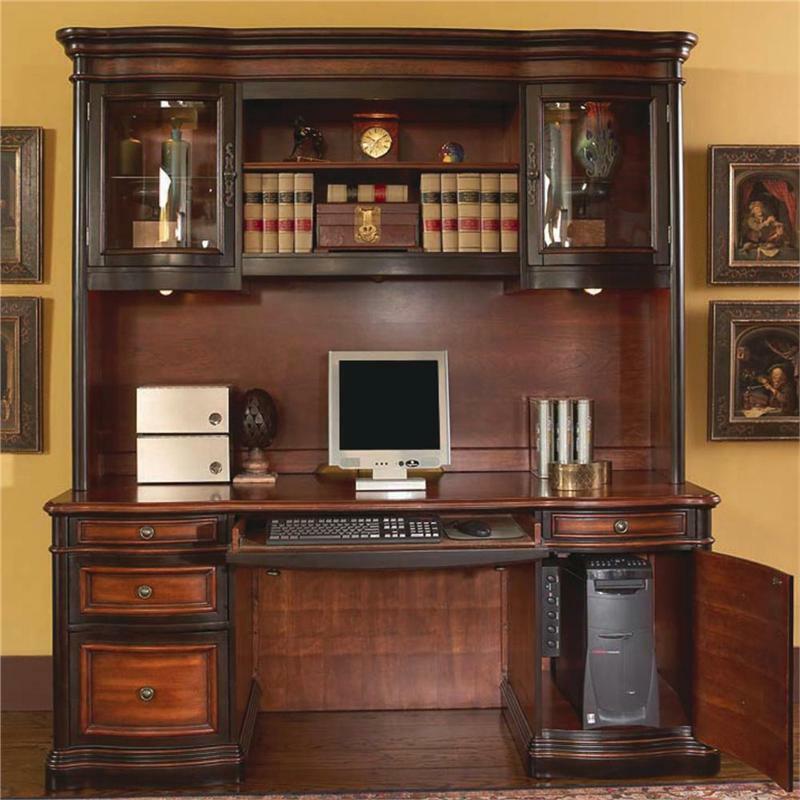 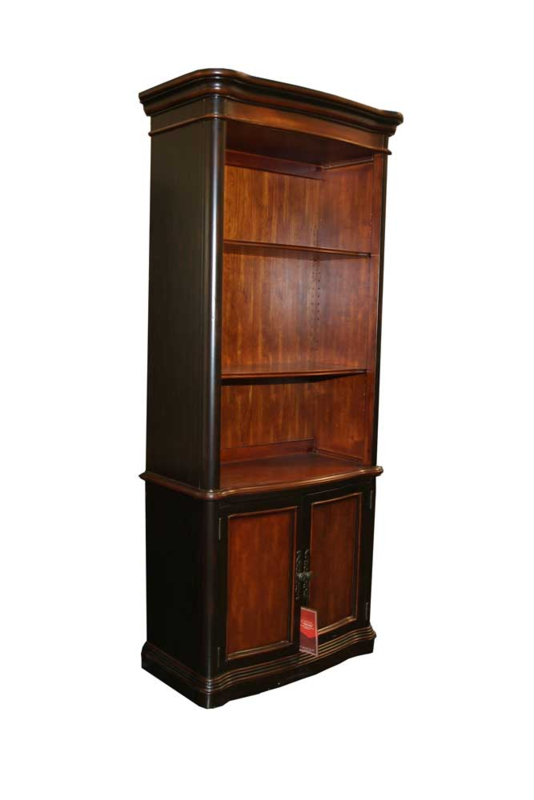 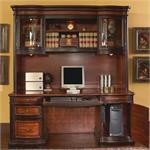 This Grand Style Home Office Collection is sure to make a bold statement in any home office. 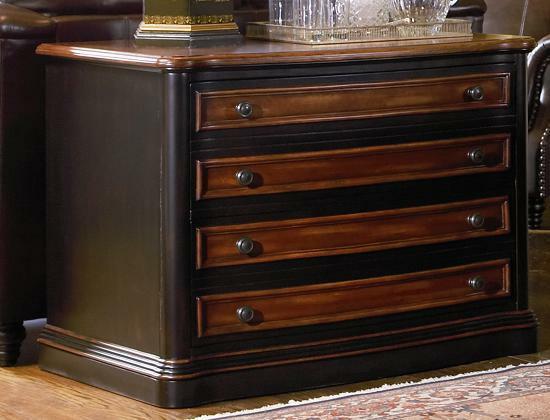 Crafted from selected veneers and hardwood solids. 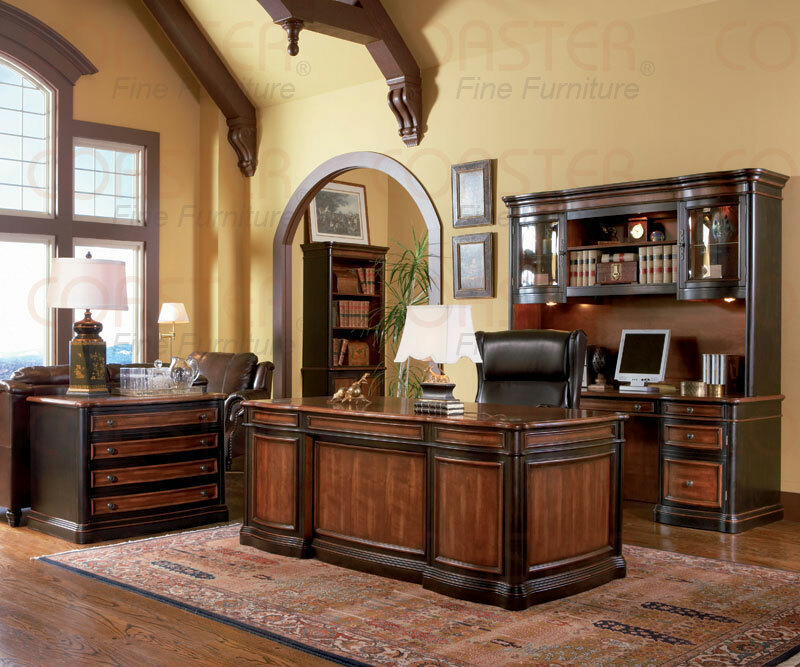 Desk features seven drawers, upper drawers are felt lined, drawers are dove tailed and corner blocked for added durability and locking file drawers. 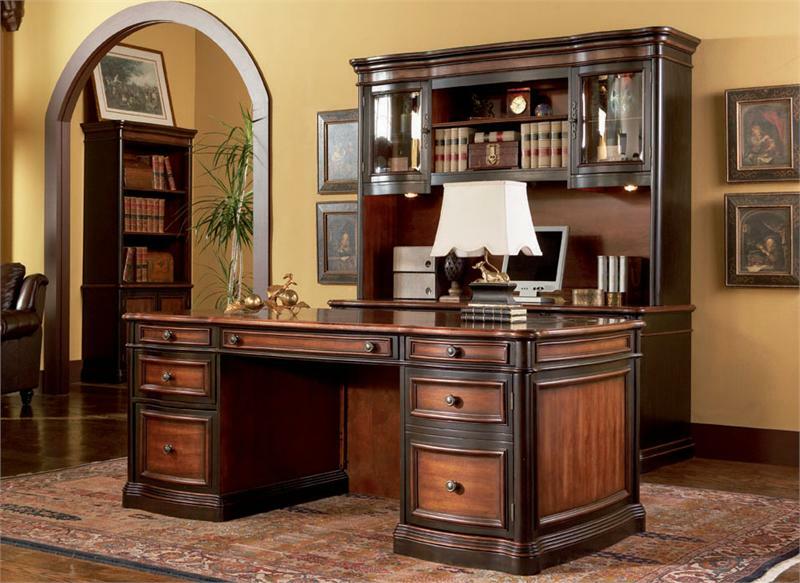 Ball bearing glides, Desk and Credenza feature powerstrip, and drop front keyboard drawers. 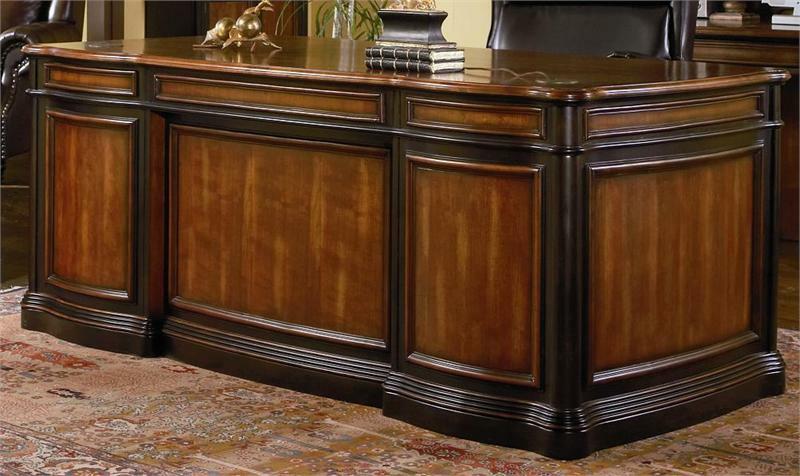 Credenza features task lighting and curved glass door fronts in hutch. 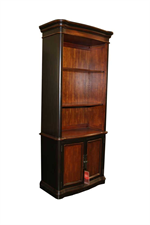 Matching file cabinet features a locking lower drawer, while the bookcase offers three shelves and lower cabinet with doors.